INDIANAPOLIS, Feb. 21 /PRNewswire/ -- Completing an unprecedented year of innovation in insulin delivery devices, Eli Lilly and Company (LLY) today announced the launch of KwikPen(TM), a new insulin pen prefilled with the Humalog(R) (insulin lispro injection [rDNA origin]) brand of insulins. KwikPen is the third new insulin pen Lilly has launched in the last 12 months to help improve the daily management of diabetes, following the successful launches in 2007 of HumaPen(R) MEMOIR(TM) -- the world's first digital insulin pen with memory -- and HumaPen(R) LUXURA(TM) HD, a reusable pen for people who need insulin dosing in smaller increments. KwikPen is a prefilled insulin pen designed to be convenient, easy to use and discreet. KwikPen's design can help fit a mealtime insulin, such as Humalog, into the daily lives and routines of people with diabetes. KwikPen is now available by prescription in pharmacies prefilled with the Humalog brand of insulins, including Humalog, Humalog(R) Mix75/25(TM) (75% insulin lispro protamine suspension, 25% insulin lispro injection [rDNA origin]) and Humalog(R) Mix50/50(TM) (50% insulin lispro protamine suspension, 50% insulin lispro injection [rDNA origin]). The Humalog brand of insulins are indicated for use in patients with diabetes to control high blood sugar. Lilly's original Humalog and Humalog Mixtures prefilled pens are also available. Patients using the original Humalog and Humalog Mixtures prefilled pen do not need to convert at this time unless they choose to do so in consultation with a health care professional. "KwikPen, prefilled with Humalog and Humalog Mixtures, provides people with diabetes an exciting new option for accurate insulin dosing with the convenience of an easy-to-use prefilled pen," said Matt Beebe, Humalog Brand Leader, Lilly USA. "We know living with diabetes presents challenges day-by- day, meal-by-meal. At Lilly, our goal is to provide innovative therapies that help patients accurately and discreetly manage their use of mealtime insulin, as well as practical solutions beyond therapy that help patients live successfully with diabetes." 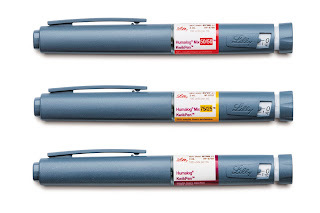 Last year, Lilly launched two innovative reusable pens -- HumaPen MEMOIR and HumaPen LUXURA HD - to help address those diabetes management needs. HumaPen MEMOIR, available by prescription nationwide for use with Humalog, presents sophisticated technology and features in a consumer-friendly "push- to-know" digital display that allows patients to record and review their last 16 insulin doses, including the priming doses. Many insulin users need multiple injections per day, so the ability to record doses and the time of the dose may help simplify the daily management of diabetes. This is especially important for both patients and physicians when developing a diabetes treatment plan that utilizes accurate recording of mealtime doses. HumaPen LUXURA HD is a reusable pen that can deliver Humalog in half-unit increments from 1-to-30 units. Also available by prescription, this type of pen may be attractive to people with diabetes that do not need large amounts of insulin, or parents of some children with diabetes. To learn more about insulin delivery devices for use with the Humalog brand of insulins, visit http://www.humalog.com. Humalog, Humalog Mix75/25 and Humalog Mix50/50 are for use in patients with diabetes to control high blood sugar. Humalog should be used with a longer-acting insulin, except when used in combination with sulfonylureas in patients with type 2 diabetes. Humalog insulins should not be used during episodes of hypoglycemia and in patients sensitive to Humalog or one of its excipients. The safety and effectiveness of Humalog in patients less than 3 years of age have not been established. Safety and effectiveness of Humalog Mix50/50 and Humalog Mix75/25 in patients less than 18 years of age have not been established. There are no clinical studies of the use of Humalog insulins in pregnancy or nursing mothers. A potential side effect associated with the use of all insulins is low blood sugar. Low blood sugar can happen suddenly and symptoms may be different for each person and may change from time to time. Know your symptoms of low blood sugar. Severe low blood sugar can cause seizures and be life- threatening. Follow your health care provider's instruction for treating low blood sugar and regularly checking blood sugar levels. Other side effects may include: weight gain, low blood potassium, changes in fat tissue at the site of injection, and allergic reactions, both at the injection site and over the whole body. Whole body allergic reactions are less common, but may be life-threatening. Starting or changing insulin therapy should be done cautiously and only under medical supervision. Humalog and Humalog mixtures start lowering blood sugar more quickly than regular human insulin, allowing for convenient dosing immediately before a meal (within 15 minutes). Humalog can even be taken immediately after your meal. Because Humalog is a mealtime insulin, you may also need a longer-acting insulin to get the best blood sugar control (except when using an insulin pump). According to the Centers for Disease Control and Prevention, diabetes affects nearly 21 million Americans; of that, nearly one-third, or approximately six million people, do not know they have the disease. Diabetes is the sixth leading cause of death in the United States and costs approximately $132 billion per year in direct and indirect medical expenses. Through a long-standing commitment to diabetes care, Lilly provides patients with breakthrough treatments that enable them to live longer, healthier and fuller lives. Since 1923, Lilly has been the industry leader in pioneering therapies to help health care professionals improve the lives of people with diabetes, and research continues on innovative medicines to address the unmet needs of patients. For more information about Lilly's diabetes products, visit www.lillydiabetes.com. Lilly, a leading innovation-driven corporation, is developing a growing portfolio of first-in-class and best-in-class pharmaceutical products by applying the latest research from its own worldwide laboratories and from collaborations with eminent scientific organizations. Headquartered in Indianapolis, Ind., Lilly provides answers -- through medicines and information -- for some of the world's most urgent medical needs. Information about Lilly is available at http://www.lilly.com. Humalog(R) is a registered trademark of Eli Lilly and Company. Humalog(R) Mix75/25(TM) and Humalog(R) Mix50/50(TM) are trademarks of Eli Lilly and Company. Humalog(R) KwikPen(TM), HumaPen(R) MEMOIR(TM) and HumaPen(R) LUXURA(TM) HD are trademarks of Eli Lilly and Company. This actually makes a lot of sense to me even if the only difference is half unit dosing. The pen I have for when my pump's not working right is the kids' Novopen, complete with kiddy balloon-decorations on it (even though I'm not a kid and normally use apidra or humalog not novolog). It was the only pen I could find with half-unit dosing, which I find really essential for meals and especially correction boluses. And it's not like I'm super insulin sensitive, my carb ratio is 1:10 and correction is 1:30 mg/dl. Maybe I'm spoiled by the pump, but to me 1 unit is just nowhere near precise enough! 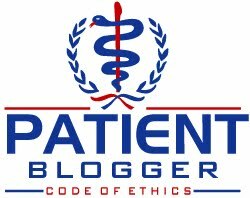 I just got the strangest email from some Humalog rep who suggested posting something on my blog to let my "readers" know about this wonderful new technology. I kind of laughed to myself thinking, "I'm sure Scott already has." Plus I've never used Humalog so I am I supposed to pimp their pen?! Isn't the half unit dosing for one of the other pens? I'm totally baffled as to what is supposed to be new about this pen. Or didn't Humalog come in disposable pens before. I sure wish Novolog would make a disposable pen with 1/2 unit markings, though. And one that didn't need to be primed! I use almost as much insulin on the air shots as I do on my shots. What a waste. I think you're right, the Lilly Humapen Memoir Luxura is the pen which doses in 1/2 units. The Novopen Junior also does that, but I'm not aware of any disposable pens that dose in 1/2 units. I really don't see any difference in the new disposable pen Lilly announced and the old one, but my guess is that the old ones will be discontinued as the stock depletes itself. Here is another fine example of the insulin cartel’s emphasis on technology and combining it with rDNA insulins to obfuscate the fact we need a CURE. I understand the need for half-unit and accurate dosing after 51 years, but I have never understood why doctors, medical researchers and our hallowed halls of higher learning sold out to BigPharma. I even know several medical researchers/doctors who, themselves, are diabetic, and have accepted the insulin cartel’s sloganism instead of hearing the rallying cries for a cure. KWIKpen—look what we’ve given you! But diabetics—take a really close look. Is this yet another gift from Lilly that keeps on giving (to them). I’m not saying it is valueless . . . but how much will it cost you or your insurance company for the “convenience.” The KwikPen wastes insulin, has an associated environmental impact, and is (in my opinion) overpriced; there are half-unit insulin syringes that cost most people (with insurance) less than a nickel. It appears we are supposed to applaud these “medical innovators” every time they offer us yet another techno-gadget disguised and touted as a medical advancement. Folks—don’t you understand, the item that would improve and/or save more diabetic lives has already been invented—but your FDA won’t approve it. A continuous, non-invasive blood glucose monitor that could actually save lives--particularly needful for very young and elder diabetics--has already been “invented.” But it threatens a multi-billion-dollar-a-year (consumable) monitor/strip business, so don’t expect to see it on your store shelves anytime in the foreseeable future. Healthy acitve 83 year old husband had usual pefect physical exam blood tests in 1/08. But in 3/08 it was suddenly 900 blood sugar and now has "diabetes." Taking Lantus Solostar in AM and 4 Humalog Kwikpen before meals. Volatile readings like the stock market. Humalog cartridges are much less expensive than Kwikpen. Should we ask dr. to change RX? Would be most grateful to chat with you from AIRXU@AOL.COM. I'm still frustrated by the lack of choices in the half unit dosing pens myself. I mean, great new pens and all, but when can we get some precise pen options? Why is it that those who have pumps can give small amounts of insulin, but those of us who can't afford the device are stuck with inaccurate pens? Kwikpen is a cheaply made marketing gimmick! 15 years ago I had a reliable, refillable insulin pen by Novo for half the price. The kwikpen is more prone to pulling air and blood back into the vile. The plungers are often sticky and do not deliver an accurate dose. I have had the plunger actually dial down during delivery! The dosage indicator is confusing as it points between numbers not directly at the number I want. Let's review..... cheaply made, unreliable, no 1/2 unit dosing, environmentally bad and more expensive than my previous Lilly pen. Screw that I'm going back to Novo refillable! You're probably right, but I cannot stand Novolog, its too slow for me and I think all disposable pens are junk anyway, but they are also very lightweight and convenient for many people.